Philson A.A Warner has spent the last 40 years finding ways to produce cleaner and safer food. He founded the Cornell Hydroponics, Aquaculture and Aquaponics Learning Labs in New York City. The Cornell Learning Labs are present at Food and Finance High School in Manhattan. These labs are research laboratories that allow students to learn about sustainable food production. Aquaculture is fish farming or fish production. Warner’s aquaculture systems allow for water to recirculate, drain waste and keep fish growing. With bacteria monitored continuously fish production happens at the highest water purity levels. 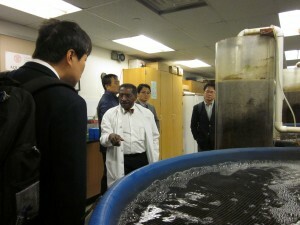 Currently, Warner raises more than 10,000 tilapia and other species in the lab. The school’s culinary arts program uses these fish to make cafeteria food healthier. The school uses the lab’s produce for its catered events. Local relief organizations, Greenmarkets and local businesses also source their produce from this lab. Hydroponics is the science of growing plants in a soil-less, biologically-controlled and ecologically-balanced environment. Plants include vegetables and herbs. Warner’s NDFT hydroponics systems produce fresh plants quickly and cleanly. Within the system nutrient-rich water circulates via tubes. The system produces 9 types of lettuce including Chinese cabbage, sweet basil, oregano, thyme and parsley. 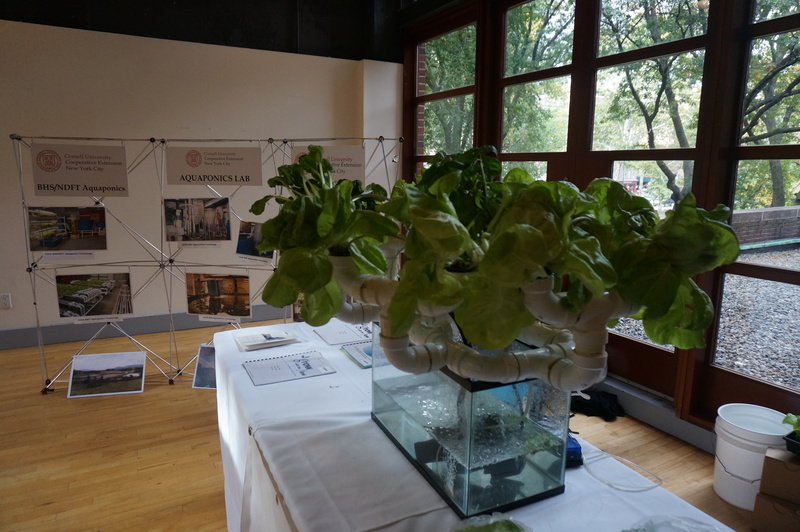 Combining the BHS aquaculture and the NDFT hydroponics systems results in a mutually-symbiotic and sustainable system known as aquaponics. The nutrient water from the fish sustains the plants, while the plants clean the water for the fish. This system is energy-efficient and environmentally sound. It produces large amounts of food relative to the physical space it occupies. A rooftop greenhouse is under construction for this system. Fish and plants – now developed faster and in more volume – can be distributed to organizations. The three technologies described above are closely integrated with the school’s curriculum. Student interns spend between four and eight hours per week working in the labs. They wear lab coats and immediately transform from students into young scientists. They are able to do independent studies in chemistry and other sciences at the lab. 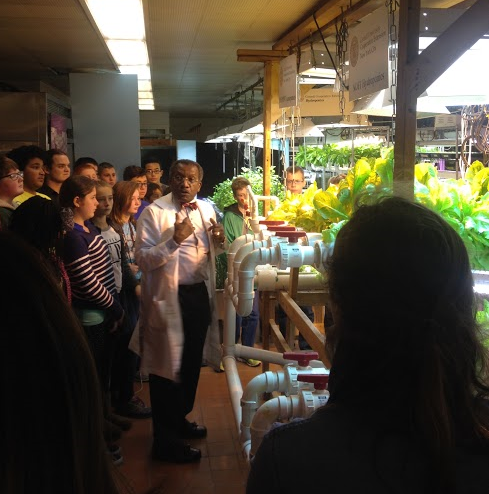 Hydroponics is part of the school’s core science curriculum. 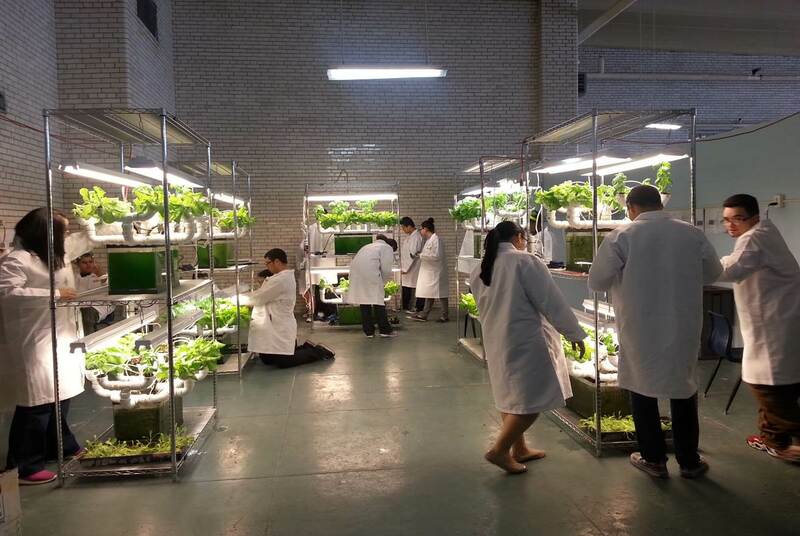 The grade 9 and grade 10 science classrooms have hydroponics units. Warner’s 40-unit curriculum allows students to meet their New York State Regents requirements. 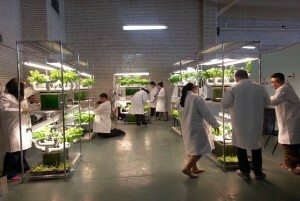 The food produced in the lab is essential to the health and growth of the school and the community. Cornell Cooperative Extension New York City offers several programs in Science and STEM education.